← Thanks and shirt update! 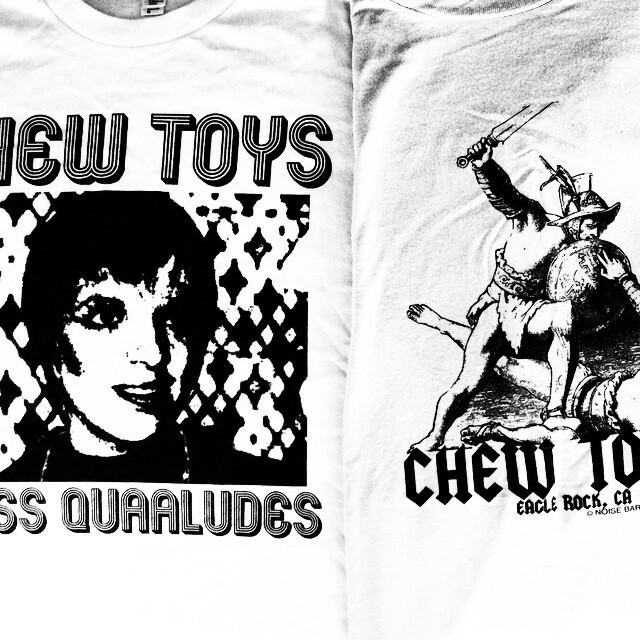 Limited shirts for sale via mail-order! The two limited shirts we did for our last couple of shows are now available for those out of towners and lazyboneses who didn’t come to the shows. This is what happens when you forget a bag of merch behind your amp at a show. Anyways, there aren’t a ton left. There are photos of the colors and sizes over on the Facebook page. Not all sizes are available in both designs. They’re $25 each shipped for US residents and $30 each shipped to our foreign friends. When they’re gone, they’re gone. If you’re interested, message us at chewtoysmusic@gmail.com and let us know what you want and we’ll send you an invoice. Thanks!